Cinema Beef is back and this time and it's a long one. I am joined by the scribe of the book "Dear Miss Landau", Mr. James Christie. This one plays like a long interview but we manage to fit some film reviews in there too. 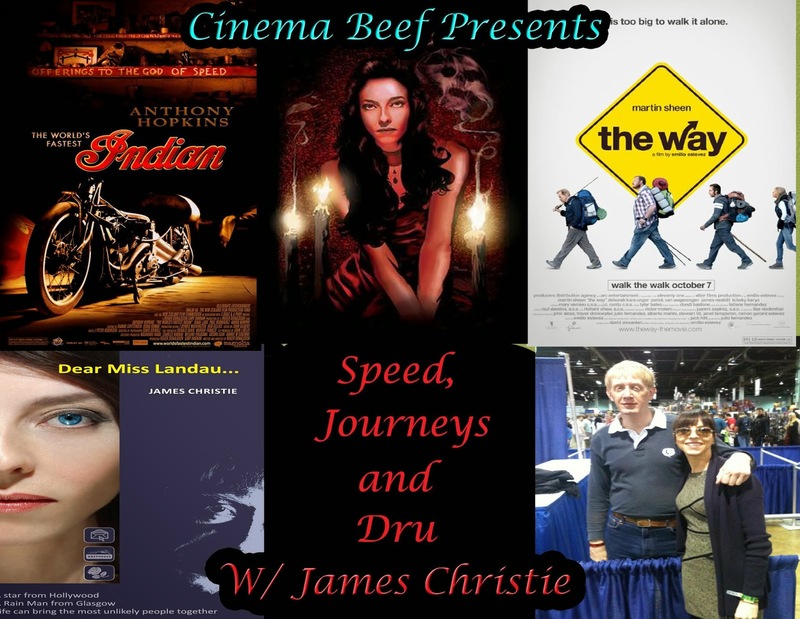 James talks about his travels, his struggles and all things Drusilla. We talk about two of James' picks in the Emilio Estevez directed The Way from 2010 and The World's Fastest Indian from 2005 featuring Anthony Hopkins. It is a great conversation with someone I'm glad to call my friend. Enjoy! Join the Fans of Juliet Landau group. Like Juliet Landau's "A Place Among the Dead"
Like Juliet Landau on Facebook.